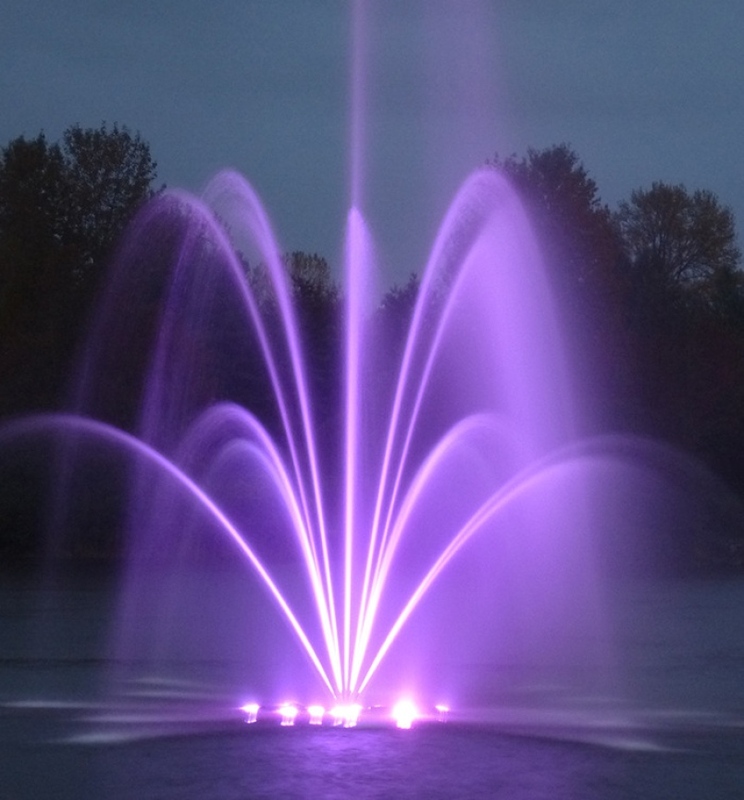 As part of park beautification initiatives by the City of Coquitlam, Wesbild is pleased to announce their gift of $50,000 towards the new fountain in Lafarge Lake. City of Coquitlam’s Park Gift Program allows donors to make a financial contribution towards a variety of park amenities. Polygon Homes also donated $5,000 for the landscape lighting along the path the runs around the lake. The fountain started spraying in Lafarge Lake on May 17, 2011. It is on daily, with the LED light display turning on from dusk until 11pm.